When one imagines where the best Ayurveda resort outside of India might be, it seems unlikely that it could be quite so close to home. The multi-award winning Ayurveda Parkschlösschen Resort lies in the tranquil valley of Germany’s Mosel River, and has been helping guests with its extensive knowledge of detox for the past 22 years. 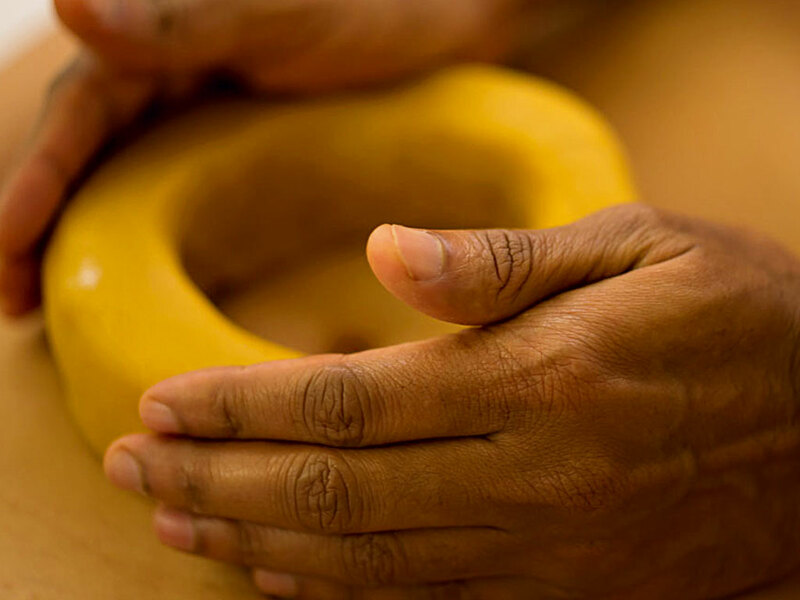 Ayurveda, a holistic medical system that originated in ancient India, offers patients natural solutions to a series of conditions, with treatments aiming to reduce stress, improve mental wellbeing and promote body regeneration. This approach has been used effectively for the past 5,000 years. Ayurveda – a Sanskrit word that roughly translates to mean ‘the knowledge of life’ – is based on a logical approach to the laws of nature, wherein it is believed that restoring one’s body to its inherent natural state will produce feelings of serenity, vitality and wellbeing. Every programme at Ayurveda Parkschlösschen Resort begins with a consultation with one of the centre’s five physicians, who measure patients’ vital statistics to ensure that each detox regime is perfectly matched to the individual’s current health condition and biorhythmic constitution. While a four-day retreat at Ayurveda Parkschlösschen Resort – which includes synchronous oil massages, daily yoga classes and healthy gourmet vegetarian or vegan cuisine – is proven to relax and rejuvenate guests to the same level as a two-week beach break, it is the centre’s 10 to 14-day Royal Ayurvedic Therapy that allows guests to feel truly renewed. Further to the services also offered during the resort’s shorter retreats, this programme – otherwise known as Panchakarma Cure – involves gentle but thorough internal and external detoxification of water- and fat-soluble toxins, which are produced by stress, an unhealthy lifestyle and environmental pollution. While Ayurvedic treatments can cure some chronic illnesses and prevent patients from developing degenerative diseases, it can also encourage long-lasting weight loss and reduce stress on all levels. The silence of the Wi-Fi-free, Art Nouveau castle, which is surrounded by 4.5 hectares of beautiful green parklands, makes it the perfect location for corporate high-fliers who are looking to disconnect from the outside world and recharge their batteries. Workshops, lectures and cooking classes from the resort’s chefs and coaches help to guide guests towards a better understanding of their health status, and how to keep it in balance. The regime allows patients to experience mental rest, resulting in a strengthened immune system and a sense of inner tranquility. In 2013, Ayurveda Parkschlösschen Resort won the World Spa and Wellness Award for Best Destination Spa in Europe. It also received the Senses Award for Best Ayurvedic Resort Outside of India, the Spa Business Award for Best Wellness Culinary Experience, and the 2014 Luxury Wellness Award for Best Ayurveda Luxury Spa. Ayurveda Parkschlösschen Resort is open throughout the year, guests are free to arrive on any day, and there is no minimum length of stay. Guests are advised to fully commit themselves to their detox regime, which is, according to Ayurveda, most effective when conducted within one’s own climate and time zone – especially when the guest has less than three weeks in which to enjoy their detox holiday. 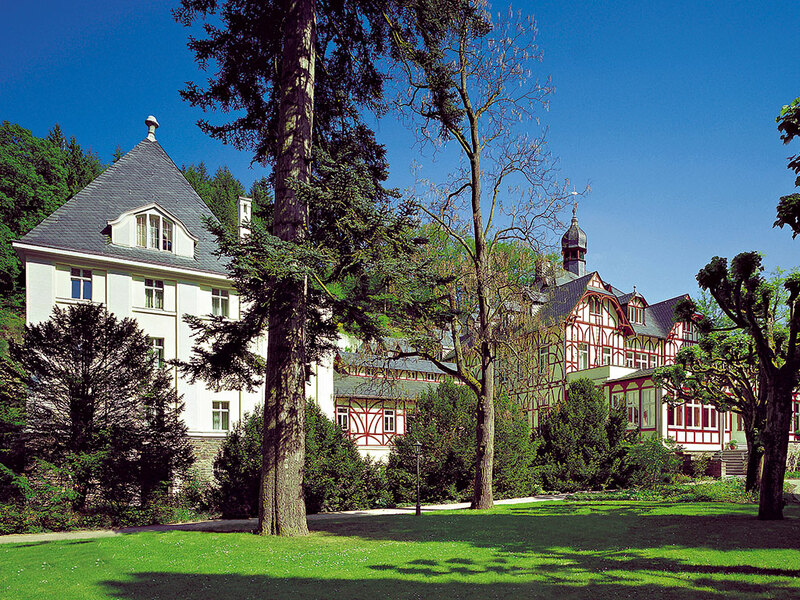 The resort is located 90 minutes from Frankfurt Airport, and only 15 minutes from Frankfurt Hahn. This ideal location makes Ayurveda Parkschlösschen Resort both easily accessible to the public, and isolated enough to provide the peace and tranquility that makes Ayurveda detoxification so beneficial.